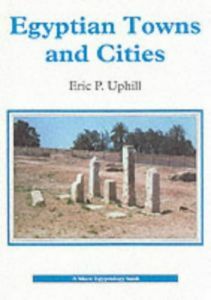 This book surveys the main kinds of urban settlement and town planning that existed in ancient Egypt before the Hellenistic period. The evolution and growth of Predynastic villages is traced as an essential prelude to the much greater achievements of the Pharaohs in establishing first towns and then cities. The later growths are shown to be of two basic types, royal foundations and those which underwent a natural expansion throughout history. From this they are classified as constituting various standard types based on function: provincial centres, planned workmen's villages, military and frontier towns, towns inhabited by funerary priests and, ultimately, royal residences and the capitals. The range of size and material is tremendous, covering small closely knit communities of a few hundred people, towns with several thousand inhabitants and vast cities, as large as any in the ancient world, with tens of thousands of citizens.